Foot Sealers — Sealer Sales, Inc. Foot sealers are ideal for high volume poly bag and other thermoplastic sealing. 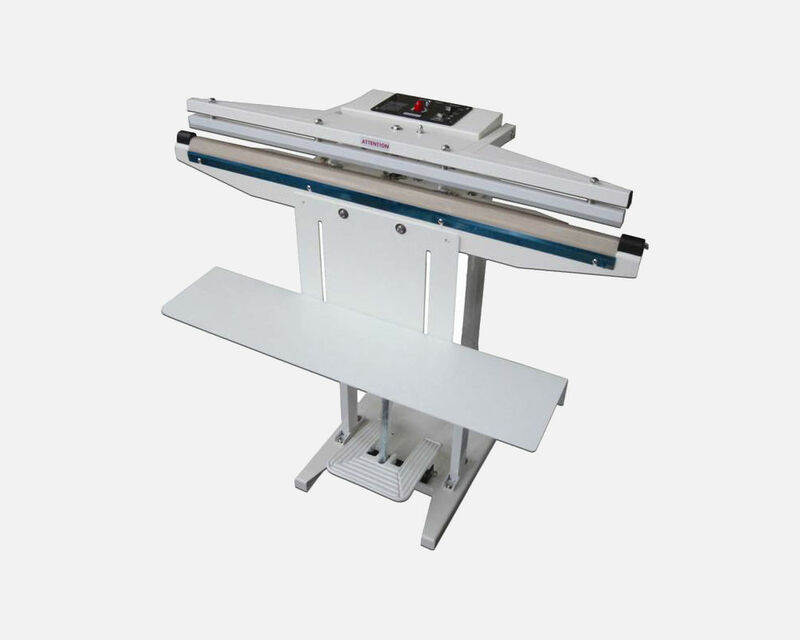 Capable of sealing 15-20 bags per minute, foot sealers keep both hands free for quicker and more accurate sealing. 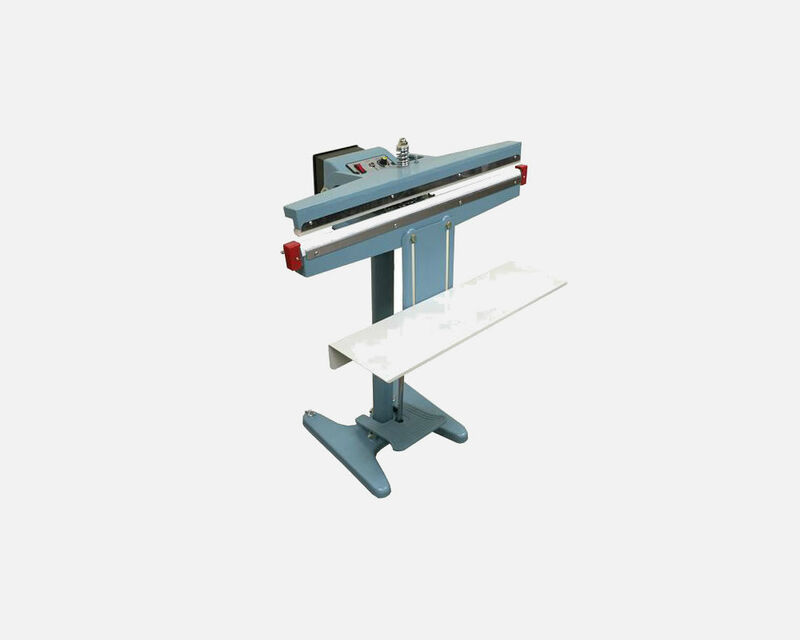 Depending on the model of the sealer, materials up to 35" wide and 16 mil total thicknesses can be sealed. The seal width ranges from 2mm to 5mm. Equipped with a plug-in timer which controls the sealing time needed for different materials. A signal light indicates the heat cycle is complete and the seal is done. Once the timer is set, it will give a consistently flat seal. *Denotes special order unit. Lead time will vary.